Cold heading is used to make the heads, or fasteners, on cylindrical parts such as bolts and screws which are used in almost every industry including construction, hardware, agriculture, furniture and manufacturing. Cold headed fasteners are used to secure two components together and so are required to be strong and durable. Traditionally, cold heading could only be used to produce simple parts, but today with the addition of automotive and multi-station machinery, cold heading operations are capable of producing more complex parts as well. 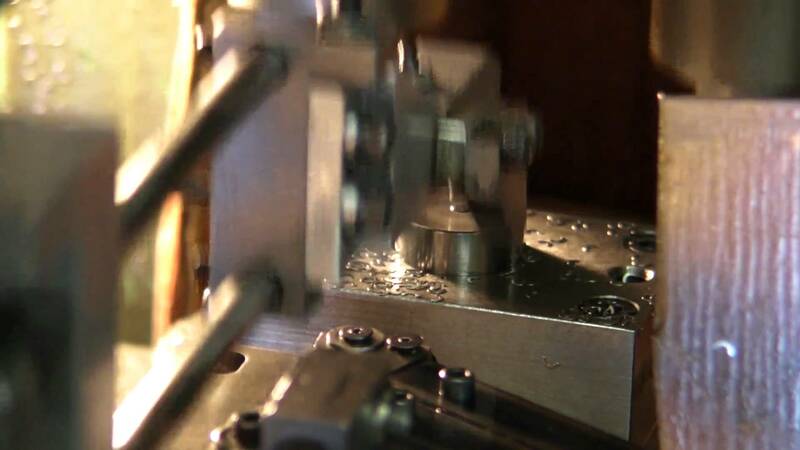 High pressure is applied by a cold header or cold forming machine to a metal blank, forcing it into a die. The applied pressure must be greater than the elastic limit of the material in order for it to deform and be flexible enough to change shape. Materials which are commonly used in the process of cold heading include steel and stainless steel, aluminum, brass and various alloys. Stainless steel is a popular cold forming choice due to its material properties of strength and corrosion resistance. Products formed through the process of cold working are typically dense and retain their material strength. The surface finish of a number of products is improved during the process as it is put under great stress and forced to adapt. There are also a number of other advantages to using cold forming manufacturing processes. It is a volume-specific process that does not cut-away material in the forming process, and produces minimal scrap and waste. Other cold forming operations can be performed simultaneously such as sizing, piercing, thread rolling and blank rolling. In terms of efficient use of resources, the metal blank is used entirely in the new shape and requires minimal, if any, secondary finishing processes. As the nature of the process is fairly straightforward, it allows for great versatility in terms of shapes. Cold heading is also an efficient process, with automatic feeding options allowing for high volume output of consistent parts. Sourcing quality raw materials is essential as this will affect the quality of the finished products. Design of the fastener or component is also important, options for heads include hexagonal, round or square, radial slot, head with slits, collar or multi-diameter extrusion. Cold Heading Cold heading is the process by which the heads of small, simple parts are produced. Unlike traditional metalworking processes, cold heading does not use heat to shape metal, rather using high pressure and force with a punch and die, a metal part is formed into a desired shape.